Company History - The Walter Environmental & Engineering Group, Inc. was created in 1998 when founder Ken Walter acted on his vision to create Western Colorado’s premier environmental, civil engineering, and safety consulting firm. Ken was able to draw upon his (then) 14 years of consulting experience to create a client focused, technically superior, innovative, and cost-effective resource for clients needing solutions to their environmental, civil engineering, and safety challenges. Environmental Compliance - Since 1998 Ken has been able to build a team of dedicated scientists and engineers capable of tackling a wide range of small to large assignments. Projects have varied from cleanup of corner "Mom and Pop" gasoline stations, to completing the preliminary environmental assessment of Grand Junction's Riverside Parkway, to managing all assessment and remedial tasks conducted at the former Landmark Petroleum refinery in Fruita, Colorado. 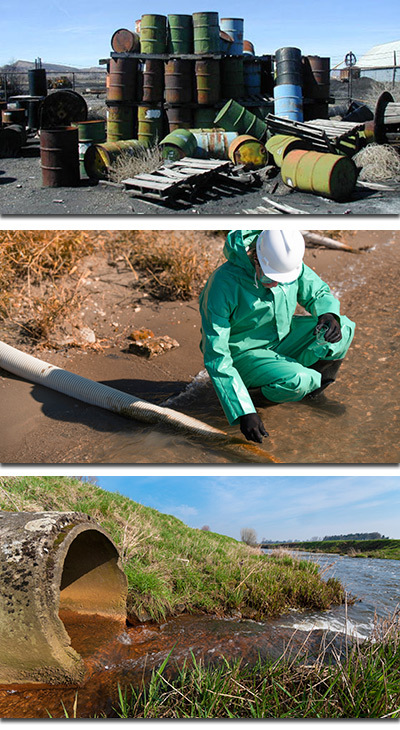 Environmental Engineering - For environmental projects that require technical design, or require review and certification by a professional engineer, Walter offers environmental engineering services. These projects can include preparation of Spill Prevention, Control, and Countermeasure (SPCC) Plans, Facility Response Plans (FRPs), and Storm Water Management Plans (SWMPs). Walter’s experience ranges from small sites requiring SPCC plans and SWMPs, to large sites containing over 3-million gallons of oil storage requiring full FRPs to be in compliance. Aerial Data Acquisition and Processing - Through professional associations with the region’s finest Unmanned Aerial Vehicle (UAV) companies, Walter has enhanced our core skill set by adding precision Aerial Data Acquisition and Processing capabilities. Safety Training and Compliance - Walter has developed a working affiliation with a team of dedicated safety professionals capable of providing safety-related training, on-site safety job coverage, industrial-hygiene monitoring, safety staff augmentation, and safety program development & revision.